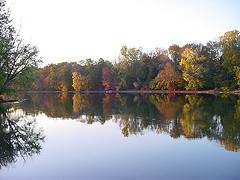 During the seventeenth century Native Americans and French explorers, Marines, and missionaries paddled down the St. Joseph River to explore the dense forests and rivers covering the area around the Great Lakes. Jesuit priest Jacques Marquette was probably the first white man to navigate the waters of the St. Joseph River about 1675. Frenchman Robert Cavalier de LaSalle traversed the area in 1679 in search of a route to the Pacific Ocean but instead discovered that the Mississippi River emptied into the Gulf of Mexico. Jesuit priests attempted to convert the Native Americans to Christianity, with modest success. Traders sought their fortunes and, along with the military, traded goods with the Native Americans in exchange for furs, mainly beaver. About 1687 a Jesuit mission was established just south of present-day Niles. In 1691 Fort St. Joseph was constructed to control transportation and communication in the proximity of the Kankakee and St. Joseph Rivers portages. 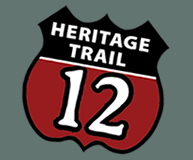 The Sauk Trail connected Detroit and Chicago and had been used by Native Americans. This trail later became a military road and stage coach route before the advent of the automobile. Two rivers, the Dowagiac and the St. Joseph, merged in Niles thus making water power a stimulus for early development. The St. Joseph and Dowagiac Rivers offer adventures for canoe and kayak paddlers and fishermen alike. The state's first fish hatchery was located north of Sumnerville, and the neighboring community of Dowagiac was the home of James Heddon and Sons Fishing Lure Company - makers of world-famous, quality fishing equipment. Today history still thrives near Fort St. Joseph and the city of Niles, which is known the City of Four Flags. French, British, Spanish and U.S flags have flown over the area. The Michigan Central Rail Road, now Amtrack, positively influenced the development and growth of Niles. At one time a large round house and enormous switching yard were located northeast of the city. Remnants of the past still remain. Fort St. Joseph Museum is housed in the carriage house behind present-day City Hall, the Henry A. Chapin mansion This is just one of many splendid homes from the 19th century still standing. 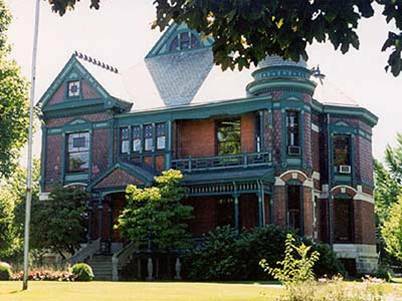 The Niles Historic District, the North Fourth Street area between Sycamore and Wayne Streets, is a great place to stroll and admire the Victorian, Queen Anne and Romanesque style homes.